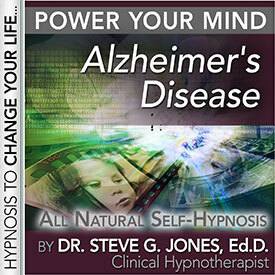 All of us hope to never be diagnosed with Alzheimer's disease. It is a degenerative disease that affects the memory. Often times it is just as difficult for the caregivers as it is for the sufferer. Loved ones without the disease find it difficult to communicate with people who have been diagnosed with Alzheimer's disease. There is still a lot that we do not know about Alzheimer's disease. Since researchers do not know exactly what causes Alzheimer's disease, they do not know how to prevent or treat it. Some research has shown that eating a healthy and balanced diet can help prevent Alzheimer's. There is also a lot of support for mental acuity, or keeping the mind sharp into old age. In order to keep the mind sharp, you can perform mental challenges every day. Examples of these mental challenges include doing crossword puzzles or playing chess. Another way to possibly delay the onset of Alzheimer's disease is to learn a new skill such as learning a new language or learning something new on a computer.